Trump throws the GOP elites a bone. Donald Trump today mentioned Marco Rubio in talk of possible running mates. Is Donald Trump about to make a pivot toward presidential? At this, The Donald seemed hurt to discover the dirtiness of politics. “It’s a crazy business,” said the man who helped invent the lunatic asylum called reality TV. Could he build coalitions with people who had wronged him? Could he, for example, see appointing Sen. Marco Rubio to a position in his administration? 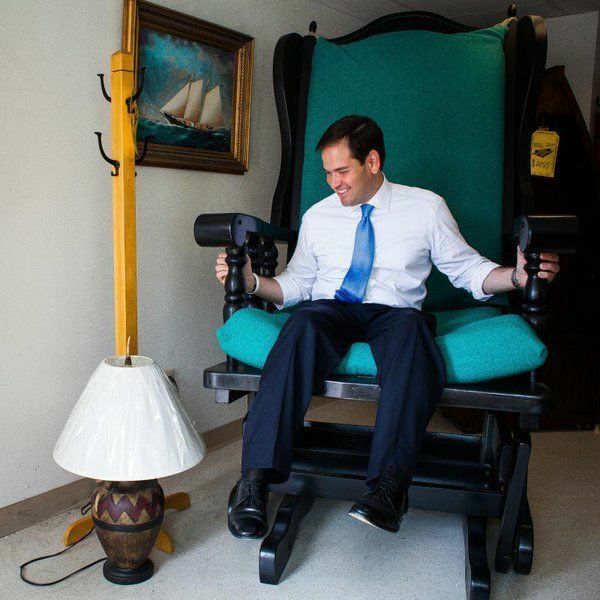 He seems to have forgiven Rubio for his cringe-inducing attempt at stand-up comedy at Trump’s expense.